Acuren provides state-of-the-art nondestructive testing, inspection, engineering and rope access enabled industrial services delivered through over 80 locations and over 4,000 employees throughout North America and the United Kingdom. 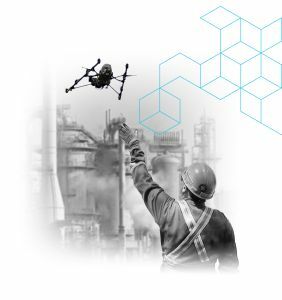 Committed to delivering a higher level of reliability, Acuren provides an unrivaled spectrum of services to support the safe operation of industrial assets. 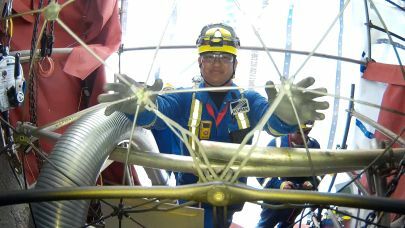 Our services include conventional and advanced nondestructive testing and examination (NDT & NDE), inspection, engineering, rope access enabled services (industrial services and NDT) and condition based monitoring services. Our commitment to innovation is ongoing, as is our development of programs to support the integrity of your assets and to significantly lower your costs of operation. We are pleased to serve many of the largest and most sophisticated industrial firms in the world – with clients in the refinery, chemical, pipeline, storage tank, power generation (fossil, nuclear and wind), pulp & paper, aerospace, automotive, and pharmaceutical industries. Our formula for success is straightforward: be highly capable locally, with certified, well-trained and well-equipped personnel supported by trained, experienced leaders. We support our local teams with subject matter experts in engineering, rope access, and advanced inspection methods and technologies. Our field engineers and technicians have ready access to the resources required to solve complex customer problems in real time, providing a higher level of reliability at a lower overall cost. Local competence is further supported by a corporate commitment to exceptional service, with subject-matter experts, management systems, and best-in-class technology to assure that the efforts provided locally also represent the best methods globally. Acuren’s commitment to safety, quality and professionalism spans four decades. Our commitment to improvement is ongoing and core to our culture. We strive for incident free work environments and continuous service improvement. Our commitment to safety and quality assurance is evidenced through our industry certifications and our strict adherence to industry standards. Acuren has lead the delivery of rope access services to industry for over twenty years. The savings provided by rope access delivery are well recognized, and monthly result in millions of dollars of savings versus conventional alternatives. Acuren is the first, and longest standing, full member of the Industrial Rope Access Trade Association (IRATA), as well as the largest rope access service provider in North America. Our expertise is well established – and our delivery of bespoke solutions at height and to difficult-to-access areas provide both savings in time and cost. Safe delivery of our rope access program is paramount. Our rope access work has rigorous audited compliance standards and is now recognized as safer than traditional access means, such as scaffolding and lifts. Safety, integrity, ownership, and innovation. The Acuren values are central to our success, and to yours. There is no better way to demonstrate our capabilities than through our successful projects and customer testimonials. We are Acuren, over 4,000 dedicated employees working together to support the integrity of industrial assets. We believe all incidents are preventable and that every employee has both a right and an obligation to support safe operations. Our commitment to safety is fundamental to our operations – with management oversight and ongoing training supported by unrelenting discipline. Our Quality Management System (QMS) ensures that our activities consistently meet both customer and regulatory requirements, with a focus on continuous improvement. We help clients prevent environmental impacts from their operations, while we do the same with our own. Our goal is to positively impact the communities we work with, providing proper consultation, education, policies, training, and outreach initiatives. Hellier has been a leading provider of classroom training and level III consulting since 1986 and has trained over 40,000 NDT and API professionals for all industrial inspection markets. Applied Inspection is rapidly gaining a reputation for being one of the most highly qualified NDT companies in the UK. Acuren’s world-class teams of over 100 engineers have extensive experience both in the field and in our laboratories to provide a higher level of reliability. Acuren is the largest inspection services company of its kind with exciting career positions throughout North America. A career with Acuren lets you train and work with some of the foremost leaders and innovators in NDT, inspection, engineering and industrial services.